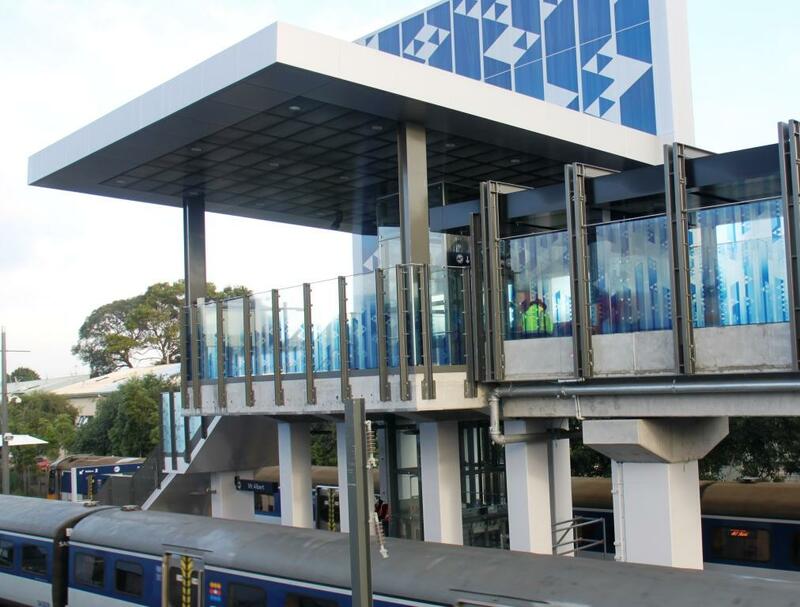 Auckland Transport has completed the first stage of transforming Mt Albert Train Station from an aging station offering a basic level of passenger convenience to a modern, attractive and safe facility with better access for mobility users and pedestrians. 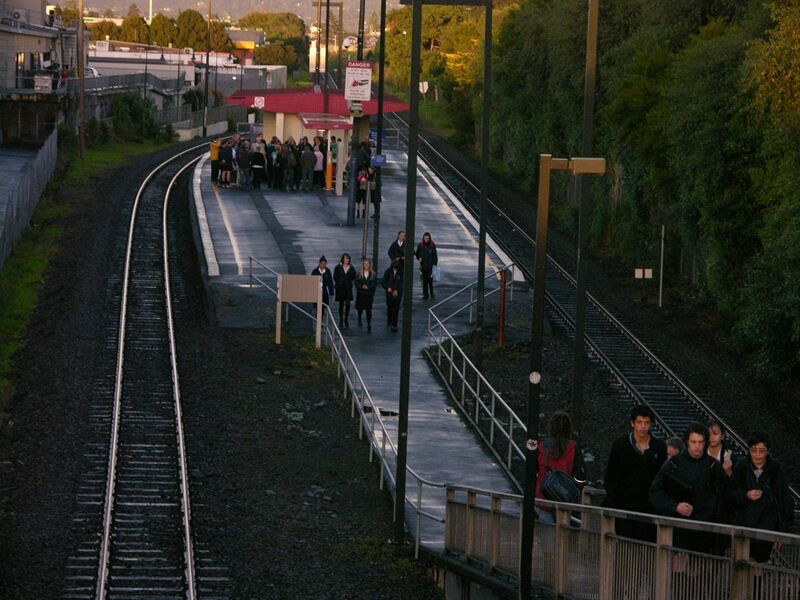 Mt Albert was one of the last stations on the Western line to be improved as part of Auckland Transport’s upgrade programme. 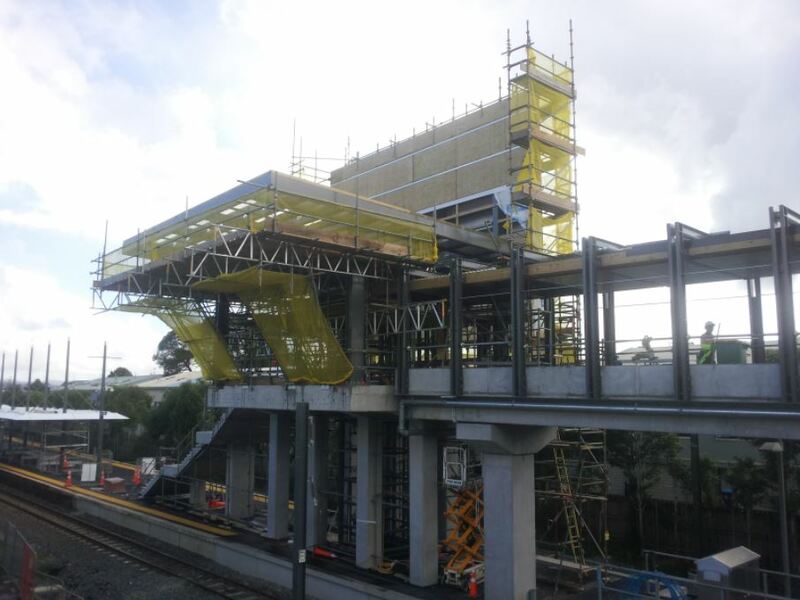 Auckland Transport’s, Project Director – PT Capital Improvements, Nick Seymour says “In recent years, upgrading Mount Albert Station has been in the headlines, primarily to ensure the end result is one that copes with future needs incorporating the wider plans for the area. The project is being delivered in two stages. The first focused on improving the customer environment and enhancing the entry point from Carrington Road Bridge. “The second stage will be delivered in 2014. “Once fully complete Mount Albert will have a magnificent new station fit for years to come”, says Mr Seymour. Upgrade work included resealing the platform’s surface, installing two new passenger shelters along with electronic information displays, passenger help points and improving lighting and CCTV security. Mr Seymour says it is the architectural form and design which gives the station character. The glazing along the walkway and concourse wall incorporates artwork designed by Moko IA Creative House. Titled ‘Owairaka’ it was developed around the cultural significance to the iwi of Tamaki Makaurau, the location of the rail link and the transportation of people both to and from Owairaka or Mt Albert. To mark the completion of stage one a community ribbon cutting ceremony and free family festival will be held on Saturday 6 July from 10am to 3pm. There will be a bouncy castle, a vertical bungee, free sausage sizzle, candy floss and popcorn, clowns and face painting. The festival is organised by the Albert-Eden Local Board in partnership with the Mt Albert Business Association and Community Groups. All are welcome to attend. Rain or shine. This is what the station used to look like. A few months ago I visited the station to check on progress and this is how it looked. And here is what the station concourse looks like now, such a magnificent improvement. While there is still a little bit of work on Mt Albert, from memory there is only the Panmure station upgrade to finish, Takanini station to upgrade and the Parnell station to build then all stations within the electrified area will have been finished. That is a vast improvement from over what the state of the network was 10 years ago. Got any shots of the platform now? That big overhang will make much more sense when the other pedestrian connection under it to the current New North Rd carpark is added. Building a ped bridge over to Great North Road. But details and land sales aren’t completed yet, so they are being cagey. Sorry, meant to say NNR, not GNR. Stage 2 is actually the western end. And yes, we are being cagey about the other bit to which Starnius refers, as you’d expect us to be until negotiations are complete. Maybe that’s what it will take to keep the taggers away from all that glass. And as for the stairs, be glad you can actually descend them, run even. In your anticipated haste, perhaps you may not have noticed that there is an adjacent lift for the benefit of those who can do neither! Glass panels have been fitted with decorative scratch proof laminate as of yesterday, saw them doing it as I passed through. The security guard was fast asleep when I walked through here last Sunday afternoon! After several years of negotiation with multiple levels of ownership an official announcement on the new Mount Albert Square is imminent. The new concourse has been designed to connect to it. That is excellent, excellent news. Good stuff Graeme, congratulations to those involved for making it work. I was told this week that a 13 million upgrade for Pukekohe has been confirmed which should be great. I know this is not part of the electrified area mentioned above, but I have been told it will be future proofed for 4 lines and for electrification. Hopefully including a link to Manukau Rd. I grant it’s a massive improvement to what was there before but am I the only one who thinks the new one looks like a horrible, architectural eyesore? The concrete and industrial look. I mean it’s not exactly pretty. In a way I would have preferred the old one with a repaved platform, painted railings, a few nice traditional shelters and some nice flower beds! I like the new one, the old one was a heap of you know what…. and you can’t polish a you know what. First, the concrete and industrial look is all you get from NZTA and Auckland Transport. If you think Mt albert is an eyesore, try Kingsland, etc, etc. Second, we consulted with the community on their preferred design. The one they chose was not my preferred option, but we went with what the community wanted. I think it will look great when the bridge to the new plaza is built, if one is built (have to say that). Great improvement and looks good from the photo. I had no idea puhinui, homai and otahuhu had been upgraded already. At least that’s impression you give when you say virtually only takanini is remaining. I admit I’m probably very out of touch, but can’t believe I missed that otahuhu had been done! I suppose you could say otahuhu hs only partially upgraded because the ped connection to the walmsley/saleyards rds side is still scummy. When the new Bus station is built you could truly say its finished. Homai is already has already been upgraded with the common element shelters as far as I can tell from google maps. Your right about Puhinui though, I think the plan is to do an upgrade there. Homai’s been upgraded for a very long time – at least 3 years. Otahuhu’s upgrade finished a month or so ago. It’s only been upgraded recently. Otahuhu now has a new pedestrian bridge at the southern end. Will shortly be getting a bus interchange as well, just not sure where. Where there are currently stacks of containers, I believe, between the tracks and the road, appropriately. Am I the only one who would have been happy for them to keep the ramp down to the platform? Works for people in wheelchairs, provides visibility from the street, easy to run down when you’re late. More shelter and electronic signs are needed.. as for the rest.. I’d rather the money be spent on PT which turns up on time. Sorry to be a downer. Ramp is *not* a good solution for wheelchairs – ask anyone who knows about the Glen Eden station fiasco. Sadly I doubt any flower beds would stay nice very long. Good on you for seeing this through. Thanks Sacha. We’ll post on the consultation on this blog, sometime after the election, after we’ve worked out the timetable for the airbridge linking the carpark/civic space to the concourse tower.